In 1995, Dr. Steven Rosenberg published an article in the New England Journal of Medicine (NEJM) that fueled the start of an industry. In a randomized, controlled trial, he showed that an investing in proactive disease management (DM) activities could decrease the cost and improve the quality of life for patients with congestive heart failure. 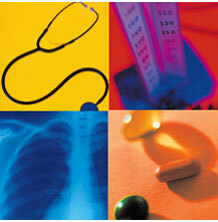 · Systematically assure that evidence-based medicine is applied. · Educate and empower patients to practice self-care. · Intensely manage the sickest 5-10% of the patients driving 80% of the costs. Healthplans, employers and other payers (and I) jumped on the bandwagon hoping that these programs would be a consumer-friendly silver bullet to escalating health care costs. · Disease Management Association of America was founded in 1999. · NCQA developed an DM accreditation program in 2002. · Data analytics companies developed predictive modeling tools to better identify the highest risk patients. · Employee benefits consultants promoted the “new new thing” for cost control. But, behind the scenes, there was a lot of hand-wringing. On the eve of a major Disease Management conference, circa 2004, I remember sitting in the bar of an Orlando hotel having cocktails with DM gurus who who’d nabbed the coveted keynote speaker spots at this major forum. The Medicare Modernization Act of 2003 had just passed, and CMS had a mandate to test the disease management model in Medicare fee-for-service beneficiaries. I was shocked when my industry colleagues admitted that this $20 billion industry would only last as long as it would take for the pilots programs to be completed and CMS to analyze the results. In the mean time…double-digit healthcare cost inflation fueled employers demand for a wide array of condition-specific programs as a cost reduction strategy. According to Mercer Consulting, in 2010, 73% of employers offered disease management programs even though consistent, reproducible evidence of a positive ROI is still lacking. It’s been seven long years since that Orlando meeting…and the time has come when will disease management may finally…finally…. fizzle and die. Only 2 of 15 programs resulted in reduced hospital admissions. None generated net savings. There were only 14 significant improvements in process-of-care measures out of 40 comparisons. So, why did this intuitive approach to managing disease fail? 1) NCQA Accreditation Standards: NCQA’s health plan accreditation standards require that DM programs be population-based—in other words, that ALL individuals with a condition be eligible for participation–not just those at highest risk who are most likely to benefit clinically and financially. Healthplans and vendors complied to achieve the marketing value of the NCQA gold seal of approval. Employers bought into this approach in the spirit of “prevention.” However, this peanut butter approach allocates time and money to individuals who are so low risk that there is little opportunity for clinically meaningful improvement that translates into financial savings. 2) Toys and Trinkets: From glossy brochures to felt puppets to refrigerator magnets, DM companies have differentiated themselves with collateral materials that have sales appeal but have little impact on improving care or decreasing utilization. At the same time, all these all of these items inflate program costs and erode ROI. At the end of the day, DM that does not achieve a net savings is not successful. 3) Over-reliance on Evidence-Based Medicine: Yes, EBM is the wholly grail. However, the sole reliance on these standards in disease management interventions does not actually “manage disease” since avoidable costs are frequently due to subtle opportunities and gaps in care that exist as a result of multiple co-morbidities. For example: A patient in a diabetes DM program may also have rheumatoid arthritis. If the patient’s hand/joint pain is not well managed, it is unlikely that she will be able to comply with manually operating a glucometer to check her blood sugars. Unfortunately, the critical thinking required to truly coordinate care is difficult to systematically build into program design….therefore, too often, its absent. So, if disease management doesn’t work, what does? This month, hundreds of health care entities will be submitting proposals to CMS to get a piece of the $1 billion funding available through the Health Care Innovation Challenge. As CMS grants between $1 M and $30 M to various projects, let’s hope that they fund initiatives that reflect fresh, not “same old, same old” thinking for improving health and decreasing cost. 1) Social networking—Condition-specific communities of patients continue to proliferate and the user-generated content from “people just like me” is having a positive impact on compliance, self-care, and quality of life. 2) Gaming: Health gaming is extending far beyond Wii Fit. Game developers are designing increasing numbers of consumer-oriented applications that address prevention, healthy lifestyles and disease self-management. 3) Remote monitoring: Biometric and ambient activity sensors offer clinicians and caregivers 24/7 insight to a person’s clinical status so that care can be delivered when it’s needed rather than when it’s scheduled. 4) Mobile/wireless health management applications: In addition to consumer focused health management apps, mobile and wireless access to patient medical information accelerates how physicians make critical diagnostic decisions and can prevent delays in care. 5) Environmental solutions: Innovative companies are poised to transform health care with disruptive products and systems that rely on design thinking–solutions that make it easy to be healthy, passively and continuously support better health, and don’t rely on individual behavior change. Proposals are due January 27, 2012. Awards will be announced in March. Results won’t be in for 3 years. In the mean time, employers looking for immediate health care cost savings can save $2-5 per member per month in fees by terminating their disease management programs.